You are here: Home > News > Wiping the Face from Historic Belfast. 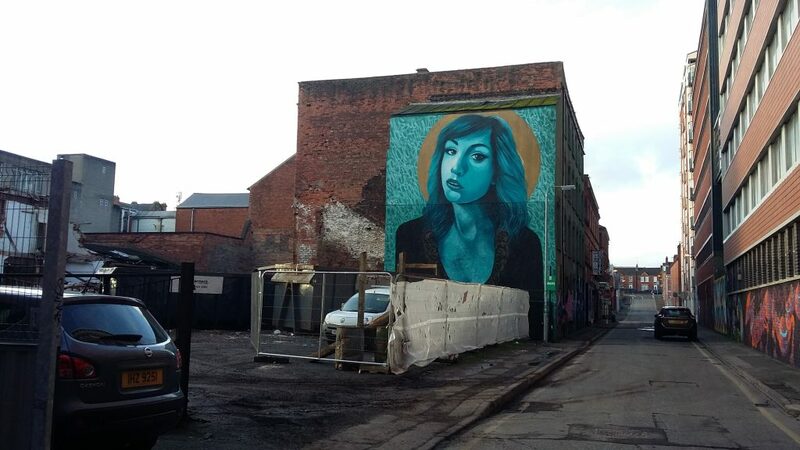 Demolition continued over the weekend 10th-12th March, of the remaining Victorian Warehouses on Belfast’s Kent and Union Streets, despite early warning to Belfast City Council by the Ulster Architectural Heritage Society (UAHS). 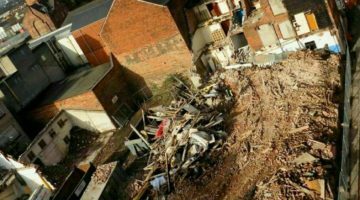 Contractors, presumed to be working on behalf of the recorded buildings’ owner, ES North Street, commenced demolition of the warehouses on Friday 10th of March. ES North Street shares directors with the McAleer and Rushe Group, who partner Belfast City Council (BCC) on a number of development projects. UAHS wrote to BCC on 20th January, specifically, about these buildings and the Council’s responsibilities in protecting the built heritage of Belfast. 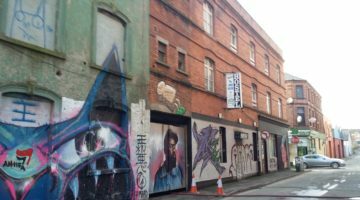 In this correspondence, UAHS also reminded the Council that it aspires toward the conversion into ‘loft’ accommodation of historic warehousing once typical of central Belfast in their Regeneration and Investment Strategy 2015. UAHS also met with senior BCC planning staff on 7th March at the request of BCC to discuss North Street. It appears that BCC were unable or unwilling to intervene. The UAHS letters of 18th and 20th January remain unanswered. 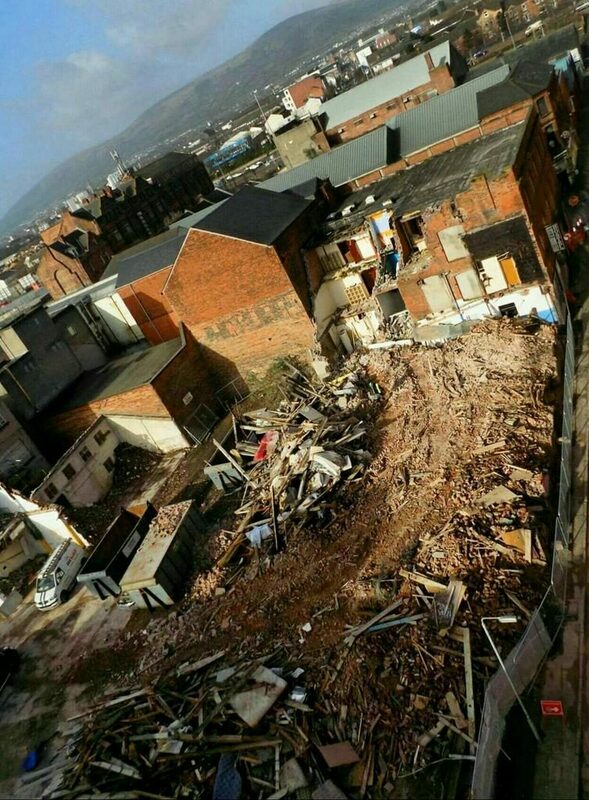 Firstly, UAHS contends that recent controversial North Street demolitions should have been subject to planning and other official scrutiny, contrary to the statement recently issued by Belfast City Council. It is not acceptable for local government to effectively claim that stewardship of our National Heritage Asset is so diffuse as to be always the responsibility of someone else. 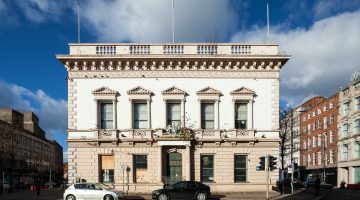 The recent statement from ES North Street claimed that urgent demolition of the building beside the listed Bank of Ireland, on corner of North Street and Royal Avenue, was required because of storm Doris. This red brick/reinforced concrete building was less than 25 years old, was in sound condition and in use until recently. Its roof did not slope towards the street and the building served as protection for the structure of the listed bank. On the other hand, photographs showing the street after the demolition of the building, but still during the storm, show large amounts of loose demolition debris remaining above street level. UAHS also notes that no explanation has come from the Developers, ES North Street Ltd, as to why the other buildings at 95-107 North Street, that they were advised were to be listed, were in fact demolished in November 2016.